Conformity Officers are well trained in providing a high level of customer service for parking violators and charged with bringing parking violators into compliance with the rules of our clients' parking lots. Using a system unique to BPE, based in humility, and properly communicating the rules to the parking violator, who moves into compliance, pays the fine, and leaves the property without involving the property owner/manager. 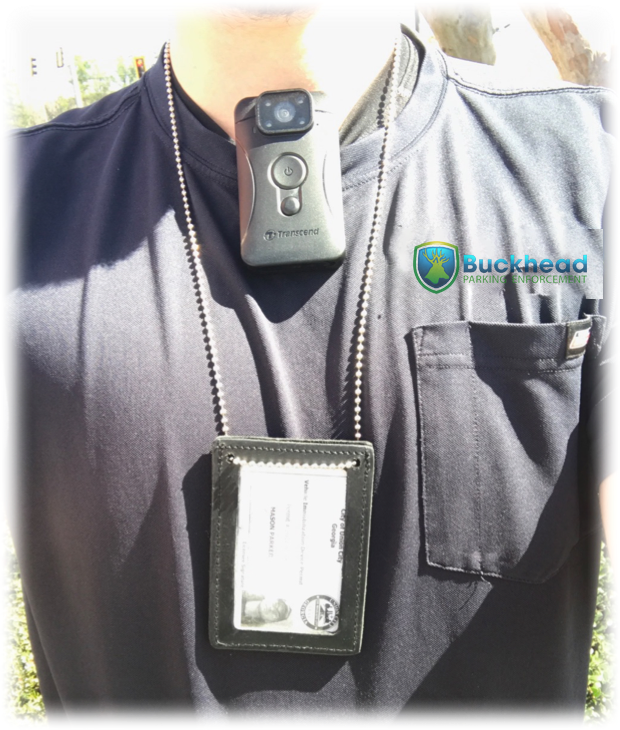 Conformity Officers are fully uniformed with company hats and shirts, carry a Photo ID Permit, and wear a Bodycam. Conformity Officers carry a log book with all documents to handle any vehicle immobilization situation and operate with a high level of HUMILITY knowing the greater your humility, the greater your influence and control. Our Conformity Officers' presence and professionalism will aid in the protection of your property and safety your customers. They will also report any illegal activity (dumping, food trucks, water leaks, etc.) providing a second pair of eyes on your property and are certified with Truckers against Trafficking, an Organization that trains Truckers to recognize and report instances of human trafficking. Copyright © 2019 Buckhead Parking Enforcement. Powered by WordPress. Designed by myThem.es.